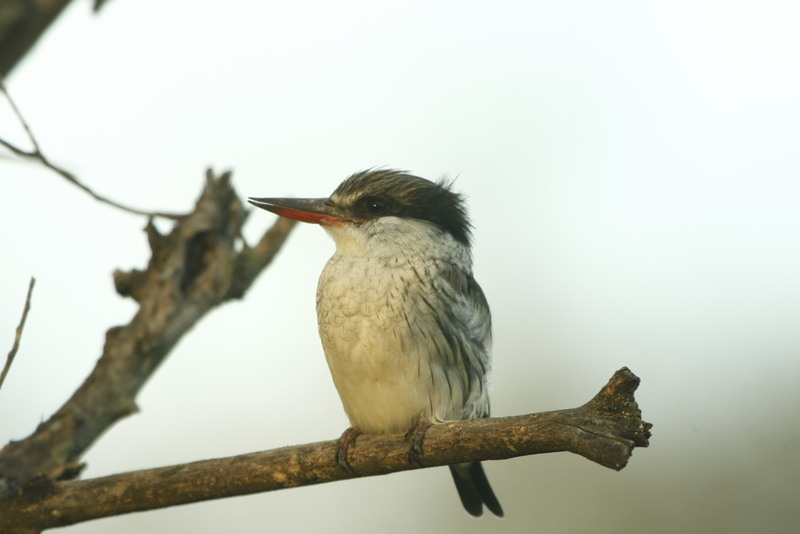 Striped Kingfisher is one of the most brilliantly coloured bird, even though it the smallest and least colourful of the non-aquatic Kingfishers. It has strident voice and dramatic courtship display. This species has some blue plumage on scapulars, brown head with streaky lining. The breast is white with some little strikes black upper and red lower mandible. This species is adapted to wooded habitat of dry country side.